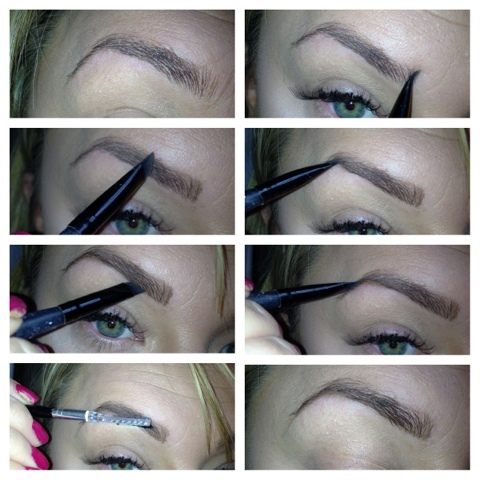 Hi there lovelies, this is the final part of " How to Achieve HD Brows at Home " series. Today's post is all about defining and shaping your brows, whether it be a subtle or a more dramatic look, I hope these tips will help. If you have thick eyebrows already and don't need to shade or fill them in too much, this is the perfect product for you. The gel will lightly fill in any gaps you may have as well as setting the eyebrows in shape. You can get them in all different colours. This can be done by anyone and requires no real technique. There are lots of really good eyebrow pencils on the market that will help in fill the thinnest of eyebrows. Firstly make sure you get the right colour, a pencil that is closest to your natural brows and hair colour is the best, if its too dark they will look too fake and drawn on. I find the best way to use a pencil is too lightly fill in any gaps and go over with a powder or gel to soften any harsh lines that might appear. Powder products are brilliant for filling in sparse brows. When using a powder you can make them look as natural or as bold as you like. 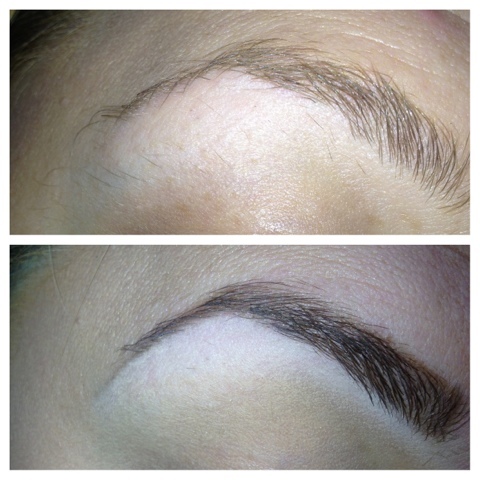 They can look more natural than a pencil as there are no harsh lines and can be blended using a wand or eyebrow comb. I find they HD Brow pallet really good, they come in all different colours and lasts all day without smudging. You don't need to go out and purchase an eyebrow kit thou, any matte eye-shadow in the shade that suits you will work just as well. When using a powder I find the best brush to use in a small angled brush. The technique which works for you is down to practising and experimenting. 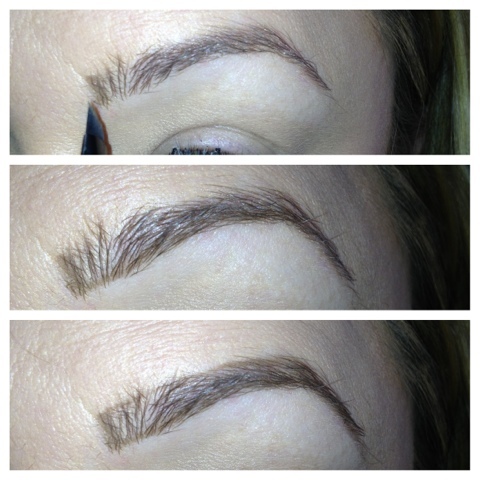 Start off lightly and build up slowly, always going with the natural shape of your brows. Below I have highlighted the technique that works best for me. 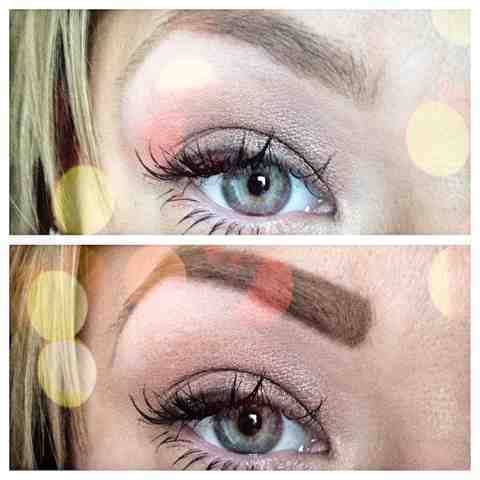 The first shows a natural look and the second, a more bold dramatic brow. 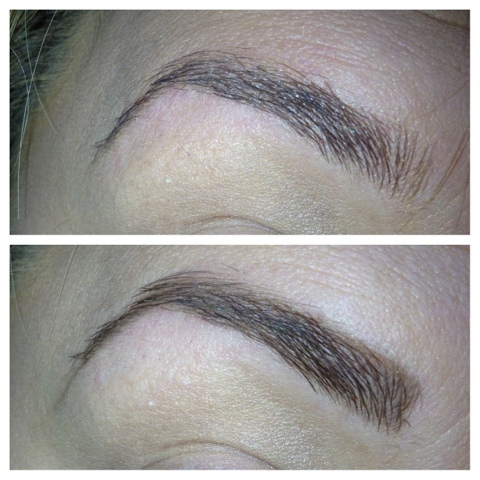 When creating a more natural shape concentrate on defining the base of the brow. Starting off in the inner corner of you the eye, lightly brush the powder through. Turn the brush so it is on its side and lightly run the powder along the base of your brow. This will define the underneath and make the hairs look thicker at the bottom. Brush through with a comb to get rid any harsh lines,.... and your done! If you like a bold brow like I do, here is how to reshape them and achieve a more dramatic look. Start in the same position as before, in the inner corner and run a line along the bottom of the brow. Do the same along the top. Once you have done this you are left with the shape, now all you need to do is fill in the area between the lines. Do this lightly and then build it up, still allowing hairs to be seen through the powder so not to make it look too unnatural. Comb through them or use a eyebrow gel to set them and soften any lines. To define them even more you can run a pale eyeshadow or highlighter along your brow bone. 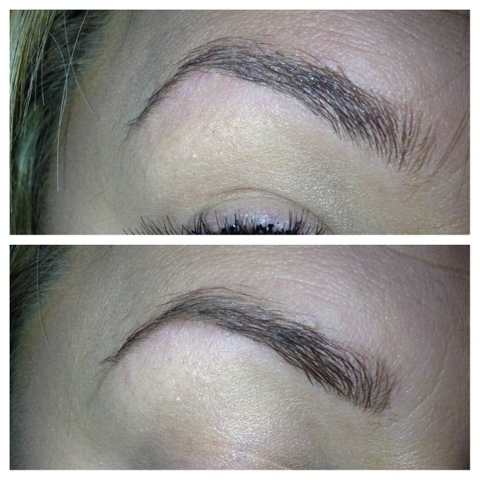 This photo shows my brows before Waxing and Tinting , and then after with powder. As you can see there is a real difference between the pictures, the brow looks neater and a lot more defined, and all this without a trip to the salon! I hope you have found some tips and tricks in this series and I would love to hear if you have tried any of them at home. If you have missed any post from this series the links can be found above under the photo.